SAGE’s Criminology list supports students, lecturers and researchers at every stage of their academic career, with resources ranging from introductory textbooks, to higher-level critical titles, and from reference works to field-leading journals. 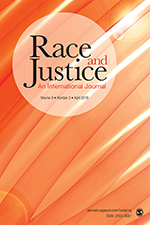 With leading international authors and editors covering topics ranging from policing to penology, from youth crime to green crime, from theory to methods (to name just a few), you’re sure to find something of interest. 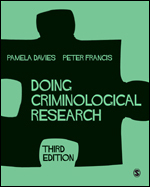 "A standard resource for British criminologists for years to come and an indispensable teaching tool. Its scope is comprehensive, its coverage is up-to-date, and its writers are first-rate." There are over 110 hours in the full Criminology and Criminal Justice Video collection, to support your teaching and your students’ learning.